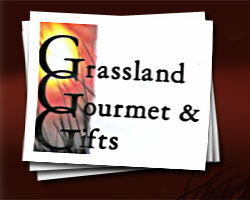 Grassland Gourmet & Gifts has developed recipes that allow you to have delicious baked goods in a short amount of time. Just add a few home ingredients to our mixes and in no time you have tasty baked goods for your family. Mama O'Gradys's Beer Bread (white or whole wheat) speaks for itself. It is so easy to make with just a 12 oz. can of beer, the mix, and melted butter on the top. So yummy eaten plain with a meal, or cube it up and use it as a dipper with your favorite Grassland Gourmet dip mix. Glazed Cinnamon Beer Bread is a sweet, cinnamon spin off of the original beer bread recipe. The vanilla glaze enhances this flavorful bread. Spear 6 Cowboy Beer Bread features a bit of campfire flavor with cornmeal, parmesan cheese, onion, and peppers add to the original Mama O'Grady's Beer Bread recipe. "Git yer cowboy on" and give this beer bread a try. Papa's Italian Beer Bread complements any Italian meal by providing a rich herb and parmesan cheese flavor. For a more authentic experience, dip bread in basalmic vinegar and olive oil. Busy Morning Multigrain Muffins are not only good for you but they taste great too. The muffins are a blend of wheat flours, corn, rolled oats, and wheat germ, along with ground spices. The mix is quick and easy to make; just add nuts, raisins, or cranberries to give them a distinctive taste. Ally's Flippin' Flap Jacks are not your ordinary run of the mill pancakes. They are made from rolled oats, wheat germ, and whole wheat flour. The thick batter makes approximately 12 fluffy flap jacks. You can fold in blueberries, nuts, or better yet chocolate chips before cooking them. These flap jacks stick to your ribs and are a great way to start out your morning. Loaded Cornbread mix will be a flavorful companion to all of the Grassland Gourmet soup mixes. The mix contains jalapeno and chives. You may also "load" it with bacon, corn, or/and cheddar cheese. Kay's Oat & Cran Scones are a nutritious tasty addition to any brunch menu. Who doesn't love a scone with their coffee? The cranberries are included in the mix. Crazy about Carrot Cake Muffins will become your go-to-breakfast treat with all the flavors of gramma's carrot cake without all the calories! The package includes carrots, dry ingredient mix and a cream cheese glaze. Serve your guests or family these moist muffins and enjoy! Gramma Bev's Best Fruit Crisp contains all of the old fashioned goodness required to make the gramma's best fruit crisp! All you add is butter and fruit!